Most executives are capable at strategy. And most appreciate the importance of culture. But how many organisations have a clearly defined culture? How many staff could articulate their organisation’s culture? You’re probably saying ‘not many’. Organizational culture encompasses values and behaviours that “contribute to the unique social and psychological environment of an organization”. According to Needle (2004), organizational culture represents the collective values, beliefs and principles of organizational members and is a product of such factors as history, product, market, technology, strategy, type of employees, management style, and national culture; culture includes the organization’s vision, values, norms, systems, symbols, language, assumptions, environment, location, beliefs, and habits. It sounds complex and overwhelming. Executives have too much to do. Finding the time and resources to analyse, design and implement a culture is challenging. It’s easy for culture to end up in the ‘too-hard’ basket. As a result, culture is often accidental. It evolves over time, influenced by all those things mentioned in the Wikipedia extract. Some lucky organisations have wonderful cultures filled with innovation, customer focus and employee engagement. Others aren’t so lucky. An outcomes approach lets you adopt an intentional culture. What is an outcomes culture? An outcomes culture emphasises clarity on what to achieve at each major stage of business activity. The focus is on the outcome rather than the process. Of course, processes are still needed. But if each team is crystal clear about the outcome they should achieve, they will find the right way to get it done. And if they can develop a better way to achieve the outcome, the culture should encourage them to do so. An outcomes culture encourages innovation. Every person in the organization will have a clear idea of the outcome to which they contribute. And the outcome they serve will have relevance for each of them. It will not be a distant outcome such as financial results. It will be far more immediate. Each person will see how their work affects the outcome to which they contribute. An outcomes culture improves motivation. The clear line of sight between what people do each day and the achievement of an outcome gives greater purpose. It increases discretionary effort. An outcomes culture should use a simple framework. Everyone needs to understand it. The idea is to turn the complexity of hundreds of processes into a handful of outcomes. To do this, we can use a concept called execution outcomes. Whenever you execute a group of processes or activities, it should produce a result or outcome. The outcome from a group of processes is called an execution outcome. A group of processes or steps leads to an execution outcome. Then the next steps lead to the next execution outcome. And so on. A typical organization will have 6 to 10 execution outcomes, which keeps things simple. The simplicity of execution outcomes provides an easy way to align all departments. The operations and the support departments such as HR and IT will all focus on execution outcomes. The support departments will make sure the right processes, systems, people skills and partners are in place. The operations people will execute to achieve each execution outcome. Each execution outcome will have at least one KPI. The KPIs will form a common set of success measures for all departments. For the first time, Operations, HR, IT, process and partner people will the same success measures. The whole organisation will focus on delivering the execution outcomes. Execution outcomes also provide a common language. 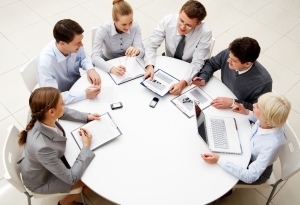 Support departments such as HR and IT often find it difficult to communicate and collaborate. They use a different set of specialty terminology and their focus is often different. Execution outcomes give a common focus and a common language that improves collaboration. For a strategy to be successful, the organisation must develop execution capability. This is the underlying ability to execute the strategy. 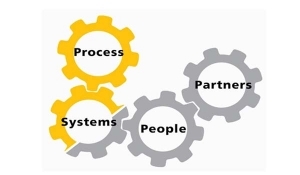 Execution capability requires effective processes, systems, people skills and partners. If execution capability is not developed, a strategy will fail. Execution outcomes provide a simple tool for analyzing execution capability before launching a strategy. Strategy often suffers from each department working separately to implement their part of the strategy. At the beginning of the year, the executive committee will ensure the departmental plans align with strategy. But when implementation begins, things change. Some departments work faster than others; some are more effective; and some are affected by unforeseen circumstances. The result is that implementation becomes disjointed, and the strategy will be damaged. Implementation plans based on execution outcomes provide a simple way to coordinate the work of each department. Execution outcomes help ensure execution capability and coordinate implementation efforts. This reduces risk and improves returns on strategy. There is a growing trend in customer engagement to focus on customer success. You first identify the outcome to which your products and services contribute. You then work to deliver the customers’ outcome. The authors of ‘Competing for Customers – Why Delivering Business Outcomes is Critical in the Customer First Revolution‘(5) discuss the customer success approaches adopted by GE Power, Cisco, Telogis, Rockwell Automation and Oracle (for whom one of the authors is Chief Customer Officer). They analyse how applying the customer success approach improved each organisation. Focusing on customer outcomes reshapes the relationship with customers. And it can open new thinking on ways to grow. An outcomes culture has two aspects. First, it changes your internal operations. It provides a simple way to focus on the key deliverables required at each stage of the business – execution outcomes. Each person knows the outcome to which they contribute. This increases people’s sense of purpose, motivation and discretionary effort. The common focus helps align all departments, providing a common language and a common set of success measures or KPIs. The focus on execution outcomes encourages an environment of innovation. If people are clear about the outcome to be achieved, they can identify new ways to achieve the outcome. Clarity on outcomes also helps when unforeseen circumstances arise. People have a much better context in which to make decisions on how to react. The second aspect of an outcomes culture is customer engagement. There is an emerging trend of focusing on customer success – of enabling customers to achieve the outcomes they need. Implementing both aspects gives the organisation a unifying culture, focused on delivering outcomes. ‘Generation 3 Engagement – Customer Success for IT Vendors and IT Departments’ – to be published late 2017. (1) There is conjecture as to whether Peter Drucker actually used the phrase ‘Culture eats strategy for breakfast’ but there is general agreement he supported the underlying principle. (4) Jump up^ Needle, David (2004). Business in Context: An Introduction to Business and Its Environment. ISBN 978-1861529923.